If you are thinking of relocating to Atlanta you’re usually looking at 3 big areas. North Fulton (Alpharetta in particular), Cobb County (with Marietta as the big draw) and Gwinnett County (usually as a whole, but Lawrenceville is a starting point). You can jump to these featured cities here, or you can search by county (with city listings) or you can just type what you want into the search above. Alpharetta is likely the most popular city that home buyers relocate to after Atlanta. Marietta has the most diverse real estate (in terms of pricing) in Cobb County and is close to Atlanta. Lawrenceville is the one city in Gwinnett county real estate that has access to the best schools in the state. If trust is the most important factor when looking for a realtor then Joshua and his team are the people for you. You'll get high quality counsel and he and his team truly look out for your best interest. It's reassuring to have an experienced agent to walk you through the entire process from beginning to end…one who knows the ins and outs of real estate and will advocate for you all the way to the closing table. Jarvis Team made our first-time home buying experience easy and smooth. They helped us understand the process and made us feel comfortable and confident with our purchase. Our agent went above and beyond. Bravo to this awesome team! They listen and ensure your needs and wants are understood before they begin the task of bringing it. This team covers all bases from identifying the perfect home, getting the right contract, making sure you are abreast of all actions each step of the way and providing a list of important contact numbers for home set-up. If you’re looking for a team of real estate gladiators you’ve reached the right address! 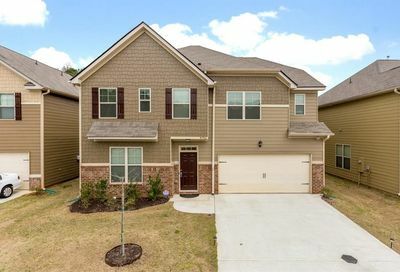 GAHomeDigest.com was founded on the principle to make life easy when searching for metro homes for sale in Georgia (Well, primarily homes for sale in the metro Atlanta area. We’ve broken it down into cities and communities, so whether you are searching for Alpharetta Homes or a home in Hedgerows in Buford,GA you should be able to navigate. Why GHD? and Jarvis Team Reatly? The HD in GHD is two fold – first, it’s obviously just initials. With the digest referencing our Atlanta real estate blog where we get brutally honest about the market or a real estate subject. The second point of “HD” is that is a reference to High Definition. Our goal is to bring you information in ways that help you make a better overall decision before you even make it out to the home. So please, have a look around, and contact us with any questions you might have about the market or our services. No question is too mundane – we want to help! Find out why we think we’re the best Atlanta Realtors! You can find us in our Duluth GA Location which is convenient to much of metro Atlanta. Our agents service pretty much anything north of I-20.